Carla’s journey on the path of yoga began as a teenager learning the sun salutation, but throughout the following years she benefitted most from yoga’s teachings of deeper self-awareness and acceptance. This path led her back to her mat in the 1980s to study Iyengar yoga, and then later to study and train extensively in the Kripalu tradition, as well as in the Anusara and Viniyoga styles of yoga. Carla has been teaching yoga since 2000, and received her 500 hour professional teaching certification from the Kripalu Center of Yoga and Health in 2005. During her program she was privileged to study with several senior Kripalu teachers, including Yoganand Michael Carroll, Sudhir Jonathan Foust, and Sudhakar Ken McCrae; as well as with other noted yoga teachers, including Gary Kraftsow, Donna Farhi, Todd Norian, and Roger Cole. Kripalu is a yoga of self discovery and empowerment, and Carla is committed to teaching its open-hearted, energy-based approach to yoga, with a keen interest in the most authentic alignment for each individual in yoga postures. She is drawn to the therapeutic benefits of yoga, and has continued taking numerous workshops on yoga for back care, for Seniors, for chronic pain, and in restorative yoga. She also completed an advanced pre-natal yoga certification from the Himalayan Institute in 2008. One of her yoga students with scoliosis sparked Carla’s interest in developing yoga programs for this specialized form of back care, which led to the completion of her Yoga for Scoliosis Teacher Certification with Elise Browning Miller in 2008. Since her certification in Yoga for Scoliosis, Carla has continued to work with individual students with scoliosis, and to offer workshops in back care basics. 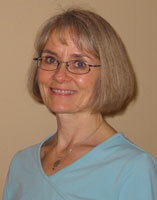 Carla has a Masters Degree in Education and a great love of learning and teaching. She spent 15 years teaching elementary and middle school, plus adult ESL (English as a Second Language) classes. In addition, she also taught fitness and dance classes for 13 years. Yoga’s transformational power to heal continues to bring Carla to yoga to practice and to teach yoga’s gifts of alignment, self discovery, and personal growth-both on and off the mat. She looks forward to continuing her study of yoga for therapeutic applications and to working with students with scoliosis.